Industrial, Warehouse, Production, Factory and Shop floor areas require a different approach and equipment to the standard office environment. Often there will be a requirement for Office and Industrial cleaning services on the same site, if so then Thames Valley Cleaning are specialists in this field. 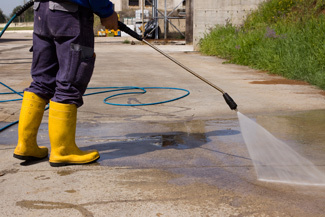 We can provide industrial and office cleaning on the same site from one day a week through to seven days a week at all times to suit your shift patterns. We are fully equipped to fulfil all your cleaning needs, and provide you with a cost effective and efficient 'all in one' cleaning service. Contact us today to arrange a free, no obligation survey and quotation.